Some people claim that reprogramming the subconscious mind fast is impossible. Or at least they think it is a very hard job that takes years to accomplish. Let me reassure you. It is not hard at all. Actually, it is really simple. You can do this without the assistance of a therapist or coach. There are a few easy techniques that will help you to take better control of your subconscious mind. They will be a game changer for you! Your life will never be the same again! Is your subconscious blocking your dreams and desires? The Law of Attraction can only work for you, if there is no old programming in your subconscious mind that is sabotaging your dreams and desires. These old programs are the number 1 reason why people think that manifesting doesn’t work. The Law of Attraction always works. It is a law, just like the law of gravity. The law of gravity never takes a break. It works the same with attraction. You are broadcasting and receiving energy on a continuous basis. Always, everywhere. It never stops. According to the Law of Attraction, like energy attracts like energy. This is the basic principle. Your mind controls your energy vibration. Your vibration sends out energetic messages. We call these frequencies. Those frequencies send out the signals to the universe. It’s plain and simple, but many people have a problem to tune into the right frequency. This should be the frequency of what you really want to accomplish. Most of the time however, you don’t get your desired results. If this is true for you, I can guarantee you that your subconscious mind has a sabotaging program running in the background. Your subconscious mind is the real director of your life. It is programmed in your childhood. You can read more about that in an earlier post I wrote about the secret behind the Law of Attraction. Click here to read it. Your mind is not your brain. Although your mind also vibrates in your brain, it is everywhere in and around your body. Your mind is not a material, solid thing. We can’t see it, taste it, touch it, hear it or smell it. That makes it confusing for most people. Most people are focused on their five senses. The 5 senses are part of the perception of your conscious mind. But there is so much more than what you can perceive through these senses. Think about faculties like intuition and reasoning, just to call a few. You conscious mind, is the part of the mind that thinks. It is also known as the thinking mind. You think a lot of thoughts. On average people think 60 thousand thoughts a day. You are not aware of the majority of these thoughts. The thinking process goes really fast. We humans are not capable to catch all these thoughts. This is vital information when you start reprogramming the subconscious mind. You subconscious is your emotional mind. It is all about feeling. Your subconscious also stores all beliefs that were put into it throughout your life on planet earth. This started from the moment you were born. Some even claim that it all started in the womb. That is a point of discussion. There is no real proof for this assumption, but I tend to believe it is true! The first 5-7 years of your life were critical! During this period you picked up so many beliefs from adults, etc. They were planted in your subconscious. Our subconscious mind never judges anything. It has no opinion. It does what it’s told to do, based upon the information it picks up from the outside world. Later on this happens also through your own thoughts and ideas. There is something that most people don’t know about their unconscious programs. It happened at the moment that the sperm cell of your father and the ovum (egg) of your mother came together in the womb. The moment of your conception. All the beliefs, thoughts and feelings of both your mother and your father were inside these two small cells. So there was an energetic transmission of them inside you. You still carry this information in your subconscious mind, but you don’t know that. Not on a conscious level. Everything is energy and so were the particles that created your body. All information we carry deep inside, is stored in every atom of your body. So the atoms of your parents met each other and became one in the womb. The energy of both was put into it. The energetic transmission goes back many generations, because once upon a time your parents were an embryo too. They were loaded with the energetic beliefs, etc. of their parents. And their parents got their programming from their parents, and so on. You carry the information of many generations in your subconscious! Did you realize that? They are not separate from each other. Both are part of one mind. But each of them operates at a different level. Both parts of your mind, want to live in harmony with each other. That is important to be aware of when reprogramming the subconscious mind. It is essential to understand how your mind operates. So please read this a few times, keep repeating the information, until you understand it fully. Let it sink deep! Not many people, unless you’re a therapist yourself or so, know this. If you would be aware of how it really works, your life would be so different. You would be unstoppable! You would realize each dream and goal you have now. You would be free. If you for example decided you want to buy a new car, but your subconscious beliefs are programmed with a lack of money mentality, you won’t buy the car. Your subconscious mind will “tell” you, there is not enough money. You will feel fearful for example. Or you feel resistance to close the deal. These feelings and emotions that come up, result into a certain reaction in your body. Based on that reaction you take action. In case of the example above you would perhaps decide it’s a better idea to wait and go home. This makes your subconscious mind really happy! Because it is in harmony with what it beliefs to be the truth! Your thoughts are energy. They have a vibration. This vibration transmits a certain frequency. The Law of Attraction matches your frequency in your physical world. You are like a broadcasting station that is 24/7 on air. Wow! It all starts with the thoughts, that your conscious mind produces. Your thoughts however, are based on your subconscious beliefs and feelings. Most of the time they are not your own thoughts. Let’s say you think about dating someone you are in love with. On a subconscious level you learned earlier in your life to believe you’re not worthy to find true love. So you feel bad about asking that person when you think about it. The moment you feel this, you act on it. You decide to call that person later. You sabotage what you wanted to do by procrastinating the desired action. This results into a new thought, based upon your decision to wait a little longer before asking the person you love for a date. You might think: “I wish I could do it now, but it doesn’t feel good… It is better to relax now and watch television and call him/her later”. Such a thought gives no conflict in your subconscious mind. It feels safe. So you lay down on the couch and turn on the television. New feelings arise. Your subconscious is programmed to feel good about this action, because that is how it’s programmed. Which produces new thoughts. Before you know it you completely forgot about asking that person for a date. It almost feels natural, like a normal thing to do. But is it? If you don’t change anything about the old programs in your subconscious, nothing you wish or desire will come into your reality. You stay in a vibration based on your old programming. The Law of Attraction responds to that by bringing people, situations and circumstances into your life, that match your (old) programming! This is why so many people get stuck! They have so many hopes, dreams, desires, etc. But they never realize them. Because of this old programs in the background, that they are not aware of. 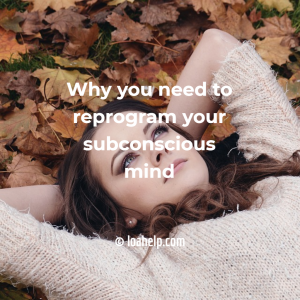 Is reprogramming the subconscious mind even possible? Yes it is! It is not so hard to do. But you need to do the work. You need to disciplined enough to do certain things on a daily basis. Otherwise, it won’t work. So the first step is to make a strong decision. The decision that you are willing to do whatever it takes. This is important. Don’t skip this part please! Lots of people never make a decision and keep on trying things forever. When you try something, what you really mean is: “I’m not sure about it”. Change that. Make a strong decision right now. Don’t procrastinate. This is the moment to change what you have been carrying around for decades or longer! Now is the perfect time to make a difference in your life. Not in an hour. Not tomorrow. Right here and right now is the only right answer. If you don’t want to do that, you are not willing to change and that is fine. In that case you shouldn’t waste your time any longer and stop reading. Reprogramming the subconscious mind with this powerful technique! Before we start reprogramming your subconscious fast, there is one more thing you need to know. Positive thoughts only don’t work. Even if you repeat affirmations thousands of times, it won’t make an impression on your subconscious. In order to make them work, you need to create a few new neural pathways. This is easy to do! I learned an excellent method by Dr. Henry Grayson. He is a psychologist who works with energy healing modalities. The technique I’m about to share with you is super powerful. It worked miraculous for me. I still use it now and then on myself. I have great seen success with my coaching clients as well. You will absolutely love it! Repeat the exercise for 30 days in a row (or longer if you wish) to build your brand new neural pathways! Say it out loud. For example: “I want that job, it’s mine already and I feel great!” (please use your own phrases!) Really make a powerful statement here. Stand strong! Repeat this 2 to 3 times. Next you create an image about what you just said out loud. For example a picture of yourself in the new job, feeling wonderful and strong. Smiling and having a great time. Do this really quick, there is no need to focus on this picture for minutes. Instead, 20 seconds so is perfect! Focus on the feeling you get thinking about what you want so badly. Notice where you feel it in your body. Feel all these great feelings and enjoy for about 20-30 seconds. Focus on what you want, on the picture and on the feelings you had earlier in the exercise. Integrate them together. While you keep focusing on that, move your eyes from the left to the right and from the right to the left. Repeat this 20 times. Do it as fast as you can! That’s it! You’re done! It works like a charm! 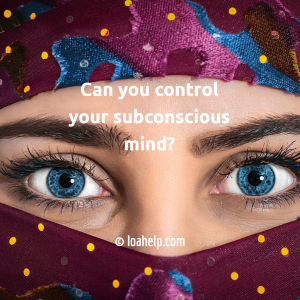 You can reprogram your subconscious mind too! Of course there are many more ways to do it. This article was just an introduction. I am going to reveal many more exercises and techniques. It’s important to read the entire article to fully understand how the subconscious works. Knowledge gives you power! If you understand how it works, the techniques you use will work so much better. 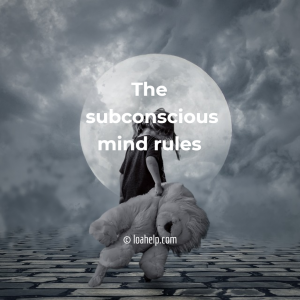 Did you do the “reprogramming the subconscious mind” exercise? Let me know how it worked out for you! Share your experiences. Or maybe you have a question about your own old programs? 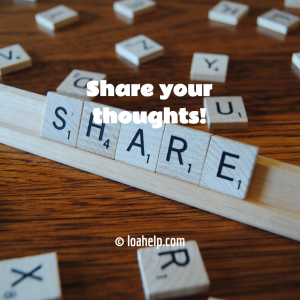 Please feel welcome to ask and/or share what’s on your mind in the comments. I am happy to help you. Please don’t be shy. I am here for you. Reprogramming the subconscious mind isn’t so very hard to do. With a little support it’s doable for everyone. 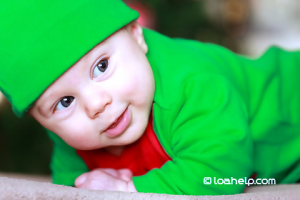 You deserve a great life and it is my honor to guide you towards that! You can have it all and more than that! I Reviewed you article interesting stuff and some new information will try the reprogramming and continue to listen to the motivators, I’m recommending the book if you haven’t already read it “The Power Of the Subconscious Mind” – Joseph Murphy. This is an extremely insightful and a helpful article. Our mind is so powerful. If we have a strong mind that we are going to make something work and stick to it to the end. Everything and anything is possible in my opinion. I am a very strong willed person, once I set my mind, nothing will stop me. I love how you explained everything. Simple and easy to understand and follow. Thank you for the beautiful work. I am reading this article with great interest and putting together a résumé so that I can easily follow it regularly as you are describing, but I have a question (that might sound silly) for the first step of reprogramming my subconscious: you say that I must “put one hand on my forehead and another on the back”… do you mean on the back of my head, or on my back? I agree that the mind is very powerful and can set the course of ones life in the direction you think on, I have experienced this with exercise and losing weight management, thanks for the post . Very interesting article!!! Found the part about our subconscious going back generations very insightful. Just over a year ago I started learning about how our minds are conditioned from such an early age and realising this fact actually changed my entire life. I stopped abusing drugs and alcohol, quit smoking and my whole personality changed over a VERY short period. I also found myself absorbing knowledge I had previously found a struggle such as using computers and working online. My wellbeing is at an all time high and reading articles such as this reminds me how sad it is that some people NEVER have this realisation.